Expressing yourself accurately through written form is crucial for life. To do so, however, you need to be a good speller. To help your child develop their spelling skills, continue reading. The first tip is incredibly important, as it will allow your child to practice their spelling skills in a passive and active way: reading and writing. As they read, they will be able to witness how words are spelled. When they write, they will put that knowledge to good use. There will be a myriad different times in which your child will be uncertain of a word's spelling. For such occasions, providing a dictionary can be incredibly helpful. Moreover, they can use it to expand their vocabulary. To spell correctly, your child needs to retain and recall many spelling rules. If they have trouble remembering some of them, employ mnemonic devices, like a funny song, to help them in this respect. Some words have a more challenging spelling than others, which means you need to practice them more to master them completely. To that end, it is a good idea to keep a spelling log where your child can repeat them until they get them right. As a last tip, know that you can make use of games to help your child develop their spelling skills while they're entertained and having fun. 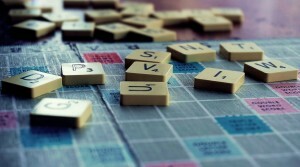 A game of Scrabble or a crossword puzzle can serve as practice opportunities for your child. Help your child become a better speller with tutoring in Lake Forest CA. Call The Tutoring Center, Lake Forest CA at 949-273-3534 to learn more about their academic programs.